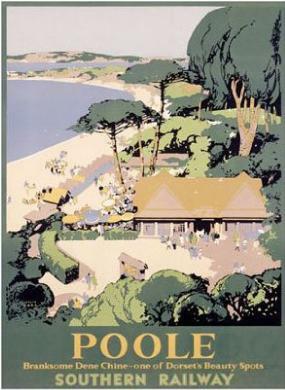 Colourful poster for Poole in Dorset. The illustration is of Branksome Dene Chine - one of Dorset's Beauty Spots. Chine is the local name for a deep gorge extending to the sea, formed by river erosion.